As part of Delfino Madden’s higher education practice, we provide counsel on regulations pertaining to human subjects research and Institutional Review Boards (IRBs). We have been monitoring the 2018 Final Common Rule as it will simplify and modernize human subjects research regulations. The 2018 Final Common Rule was expected to come into effect on January 19, 2018, but the federal government has delayed the effective date to July 19, 2018. On April 20, 2018, several federal agencies, including the Department of Health and Human Services, issued a Notice of Proposed Rulemaking (“NPRM”) to further delay the effective date to January 21, 2019. The Final Rule was issued on June 18, 2018, and it officially delays the general compliance date to January 19, 2019. 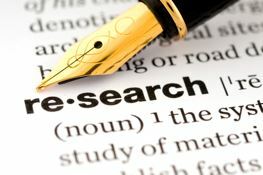 In the interim period, institutions and research activities must continue to comply with the pre-2018 Common Rule, but may implement three “burden-reducing” provisions of the 2018 Final Common Rule: (1) the revised definition of “research”; (2) permissible waiver of the annual continuing review requirement for certain categories of research; and (3) elimination of the requirement for the IRB to review grant applications or funding proposals related to the research. These so-called “burden-reducing” provisions may only be applied to research commencing before January 21, 2019 and concluding after that date. After January 21, 2019, any research utilizing the “burden-reducing” provisions will be required to transition to compliance with the 2018 Final Common Rule for the duration of the research activities. For more information, the Federal Register website contains the Final Rule.